SUMMARY: The compelling, tragic, global story of Joseph Cassuto, a man who loved his work more than his family. DETAILS: Intimate Stranger is the story of Joseph Cassuto, an average, hardworking Jewish man whose life changed drastically due to WWII. Living in Egypt prior to the war, Joseph had a lovely wife and four children and a very successful career exporting Egyptian cotton to Japan, but following Pearl Harbor his life and career would take a drastic turn. His American wife and his two youngest children were able to return to America just prior to the war breaking out with the thought that Dad and the others would soon join them. But as fate would have it, it would be several years before they would arrive in Brooklyn, and in America, their successful father was a nobody. Mr. Cassuto soon started rebuilding his relationships with the Japanese and he eventually would live in Japan, away from his family, for 11 months of the year. As he became more loved by the Japanese, he became more hated by his own family. 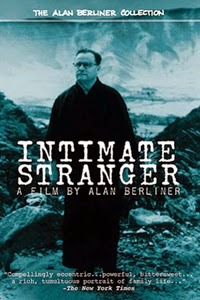 The best quote of the film is by one of his own sons who said, “I never met anybody who disliked him, other than the immediate family.” Intimate Stranger was made by Cassuto’s grandson Alan Berliner and is a great look at a man who busied himself too much with his career at the expense of those who should have loved him the most.